This humorous retelling of a favorite Armenian folktale is a story small children will follow and read along with ease. “One fine day a fox traveled through the great forest. When he reached the other side he was very thirsty.” The jaunty red fox stole milk from an old farm woman, lost his tail under the annoyed woman’s knife, and spent the day bargaining to get it back. Awarded the Caldecott Medal for the most distinguished picture book of 1971. 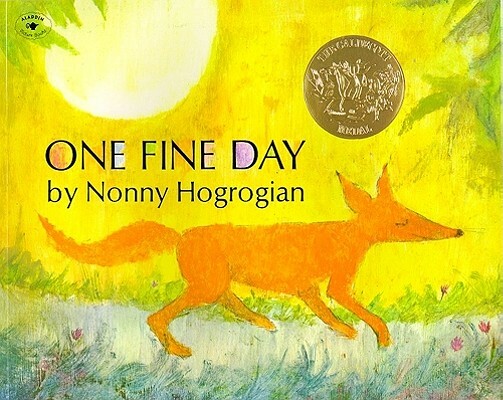 Nonny Hogrogian is a two-time winner of the Caldecott Medal, first for Always Room for One More (1966), and second for One Fine Day (1972). She also received a Caldecott Honor for The Contest (1974). Her husband, poet David Kherdian, received a Newbery Honor for The Road from Home: The Story of an Armenian Girl (1979). They live in Florence, Massachusetts.